Several decades have passed since Bing Crosby donned clerical garb and portrayed on the screen a role which would endear him to many even to this day – Father O’Malley. Somewhat earlier in our century, one of the great humanitarians of our time, Father Flanagan, founded Boys Town in Nebraska. The home became a nationally known refuge for homeless boys. In many ways, Mother Teresa of India is his contemporary female counterpart in caring for the poor and downtrodden of her adopted land. But what are we to make of these titles? We admire the work and character of these people, but does not the Bible issue the command to call no man “father”? Certain statements made by Jesus have often been the basis of controversy, both inside and outside the Church. His saying, “Do not call anyone on earth your father; for One is your Father, He who is in heaven,” has proven no exception. Some Protestant interpreters are sure that Jesus is warning here against addressing Church leaders as “father”. They, of course, are interpreting “father” in this Scripture to mean, “spiritual father”. Therefore, they refuse to call their clergymen “father”, preferring instead such titles as “pastor”, “reverend”, or perhaps even “brother”. At the outset, therefore, let me point out that “spiritual father” is an interpretation of the Lord’s statement rather than what He actually said. Mind you, I am not denying the need for interpretation of Scripture. Instead, I am pointing out that the Lord said “father”, not “spiritual father”. What is the issue here? Simply this: taken at face value, Jesus’ warning against calling any man “father” would not only seem to rule out calling a clergyman “father”, it would also keep us from using the title for earthly fathers and grandfathers, ancient Church fathers, or even city fathers, would it not? For in reality, the Lord’s statement, as it appears in the text, is that only one Person is ever to be called “father”, namely, our Father who is in heaven. But is Christ’s saying to be taken at face value? If so, several other passages in the Bible are immediately in conflict, including some statements by the Apostle Paul in the New Testament. To the church at Corinth he wrote, “For if you were to have countless tutors in Christ, yet you would not have many fathers; for in Christ Jesus I became your father through the gospel”. Does not Paul claim to be the spiritual father of the Corinthians – “Father Paul,” if you please? Furthermore, he boldly refers to his spiritual ancestry as “our fathers”. And he did address earthly fathers in Colosse in this way: “Fathers, do not provoke your children, lest they become discouraged”. It would appear the Apostle Paul certainly did not interpret the Lord Jesus Christ’s words to mean only One was to be called “father”, that is, the heavenly Father. Instances like the above could be multiplied from Scripture to show that a great many people are acknowledged to be “fathers”. But let us not stop here. For after saying only “One is your Father”, Jesus proceeded to declare, “And do not be called teachers; for One is your Teacher, the Christ”. Yet He Himself acknowledged Nicodemus to be a “teacher of Israel”. And in the church at Antioch certain men were called “prophets and teachers”. Then again, the Apostle Paul not only recognised teachers as gifts of God to the Church, but he also did not hesitate to call himself “a teacher of the Gentiles”. Furthermore, in this present day, almost all of us have at one time or another called certain people Sunday School teachers. The discussion thus goes beyond any Protestant-Catholic lines. Therefore, in saying we should call no one “father” and “teacher”, except God the Father and Christ Himself, the Lord Jesus appears not to be taking issue with the use of these particular titles in and of themselves. The context of the passage gives us the interpretative key we are looking for. In this “call no man father” passage, our Lord is contending with certain rabbis of His day who were using these specific titles to accomplish their own ends. And had these same apostate rabbis been using titles, such as “reverend” and “pastor”, Jesus, it seems to me, would have said of these as well, “Call no one reverend or pastor”. What Did the Rabbis Mean? To what ends, therefore, were the rabbis using titles “father” and “teacher”? The answer revolves around at least two critical areas of leadership: teaching and personal character. Consider first the teaching of these particular rabbis. They had begun their teaching at the right place, the Law of Moses. Said Jesus, “The scribes and the Pharisees sit in Moses’ seat” Moses’ Law was the true tradition. God had given it to Israel through Moses. The rabbis’ responsibility was to preserve that tradition and faithfully pass it on to the next generation. The final outcome of all this was a tradition of men that made the true Mosaic tradition of no effect. 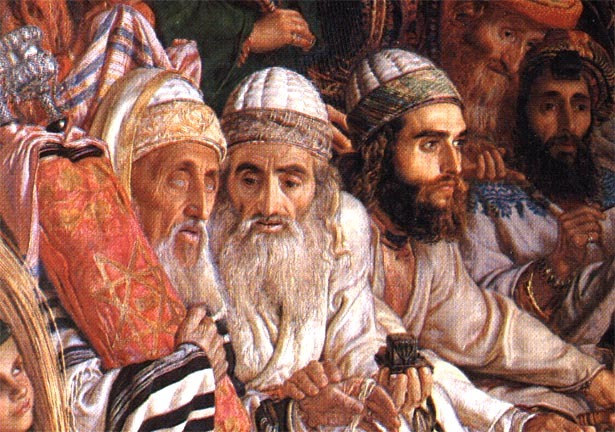 To these very rabbis Jesus said, “For laying aside the commandment of God, you hold the tradition of men,” and again, “All too well you reject the commandment of God, that you may keep your tradition…making the word of God of no effect through your tradition which you have handed down”. The summation of their private interpretations did in fact “shut up the kingdom of heaven against men”. 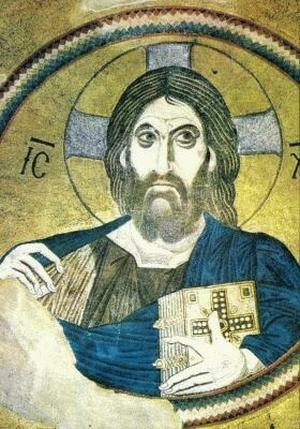 In order to cut through all this tradition of men that had made the Mosaic tradition of no effect, and to bring people back to the truth, Jesus told His disciples, “But you, do not be called ‘Rabbi’”. In other words, He was telling them not to use their positions as fathers and teachers as an opportunity to build disciples around their own private opinions. For to do so would only serve to “shut up the kingdom of heaven against men”. Instead, with the coming of Christ, these rabbis – and indeed all who would teach God’s Word – are to hand down faithfully the true tradition of only one Rabbi: Christ Himself. The Bible, through the pen of the Apostle John, calls this particular tradition “the doctrine of Christ”. In fact, this is why the specific teaching of the Twelve became known as “the apostles’ doctrine”. Since their time, successive generations of fathers and teachers in the Church have handed down and guarded the apostolic doctrine concerning Christ very carefully, for it represents the true interpretation of Holy Scripture. This faithfulness to the true Christian doctrine, by the way, can especially be seen in the Seven Ecumenical Councils of the Church, held between the fourth and eighth centuries. It behoves anyone who claims to be a teacher of Christ’s doctrine to be faithful to the apostles’ doctrine handed down in those Councils. Otherwise he runs the risk of inserting his own “private interpretation”. 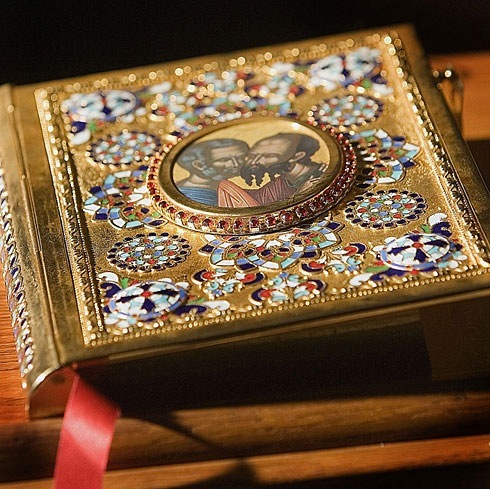 While it is true that all teachers of Christ’s doctrine must begin at the right place, namely, the Holy Scriptures, it is also true that they should give the correct and true interpretation of Holy Scripture as passed down by holy and godly teachers and fathers of the Church, especially in the Seven Councils. 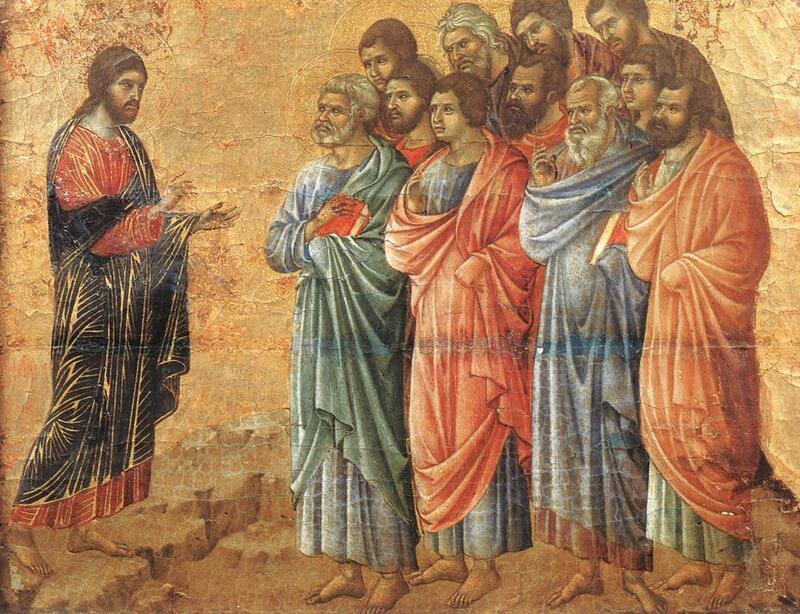 Why are the Seven Ecumenical Councils so important? Because they point out what the Church universally held to be the true teaching concerning the Person of the Lord Jesus Christ and the Holy Trinity. They are faithful to what the Holy Scriptures teach concerning the one true Rabbi and Teacher, Jesus Christ. Teachers and fathers who teach private interpretations contrary to the doctrine of Christ as taught in the Seven Ecumenical Councils should not, I believe, be recognised as true teachers and fathers. A second critical area of rabbinic leadership with which Jesus was concerned, was personal character. He had detected a major flaw in the character of the scribes and Pharisees, a sin that might be called self-exaltation. They were using their position as fathers and teachers among God’s people to exalt themselves. They wanted to be sure they received appropriate recognition. In light of this lack of character, Jesus said, “But he who is greatest among you shall be your servant. And whoever exalts himself will be humbled, and he who humbles himself will be exalted”. This self-exalting spirit had manifested itself in several ways. First, in hypocrisy: “for they say”, said Jesus, “and do not do”. All talk and no walk. Their talk was cheap because it was totally contradicted by their behaviour. In pretense they would make long prayers, but in behaviour devour widows’ houses. They would make oaths, swearing by the gold in the temple rather than by the temple that sanctified the gold, thereby revealing their secret love of money. Although they paid tithes of mint, anise, and cumin, which they should have done gladly, they neglected the weightier matters of the law: justice, mercy, and faith. Because they were hypocrites in these and numerous other ways, the Lord summed up His critique by saying, “Even so you also appear outwardly appear righteous to men, but inside you are full of hypocrisy and lawlessness”. Plainly, their “insides” did not match their “outsides” because they were filled up with a self-exalting and self-serving spirit. A second manifestation of their self-exalting spirit was the noticeable lack of actual service on their part. “For”, said Jesus, “they bind heavy burdens, hard to bear, and lay them on men’s shoulders; but they themselves will not move them with one of their fingers”. No dirt was to be found under their fingernails. They were simply a group of lazy leaders who wanted to be served rather than to serve. No wonder, then, Jesus said not to be like them, for from God’s standpoint, “he who is greatest among you shall be your servant”. 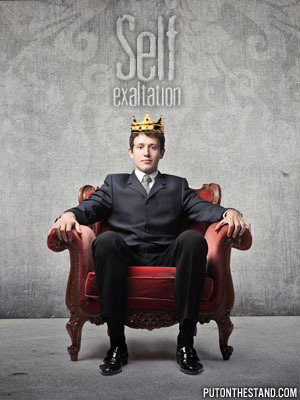 A third manifestation of their self-exalting spirit was self-love, demonstrated by a desire to be seen by men, by their love for the best seats at the feasts and in the synagogues, and by their love of greetings in the marketplaces, being called by men, “Rabbi, Rabbi”. This self-love was a clear transgression of the Mosaic Law, which they professed to be keeping. For Moses’ entire law could be summed up in two great commandments, the greatest of which is, “You shall love the Lord your God with all your heart, with all your soul, and with all your mind”. The second greatest is, “You shall love your neighbour as yourself”. Thus, these fathers and teachers were not leading their people into the love of God and neighbour. 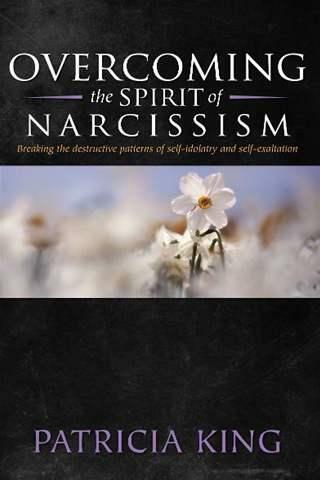 Quite to the contrary, they were exhibiting a self-exalting, self-serving spirit, filled up with a love for self. In the face of the stench and shame of the apostasy of these religious leaders, therefore, Jesus commanded His disciples, “Do not call anyone on earth your father; for One is your Father, He who is in heaven”. While Father Abraham by his faithfulness deserved the title, as did others of Israel’s greats in history, these men had forfeited their role as fathers. They were to cease and desist in their use of the term and, in turn, bow to God Himself as the fountainhead of all fatherhood. And in issuing His warning, Jesus addresses us today with the greatest of all commandments, pointing the fathers and teachers in His Church and those they lead to a primacy of love for God the Father and His Son, Jesus Christ, and to love for one’s neighbour. From the beginning of Church history, as was true throughout Israel, those anointed by God for service were called by certain names: “prophet”, “teacher” (rabbi in Hebrew), and “father”. In that same spirit, other titles have emerged, such as “reverend”, “pastor”, “professor” (teacher), or “brother” (for some evangelical pastors and Catholic monks). These designations speak of both warmth and dignity. Just as in our family units there is one who with love is called “father”, so in God’s household we have honoured and will continue to honour those who have brought us to the new birth through our Lord Jesus Christ. Indeed, what better term for them than “father”? Jesus warned against calling men “father” or “teacher” in order that the leadership of His holy nation would remain pure. Whether bishop, father, teacher, deacon, or pastor, all leaders must remain faithful to the true doctrine of Christ and manifest a personal character befitting godly humility, a humility that leads the Church into the love of God the Holy Trinity and of one’s neighbour. May the Lord have mercy on all of us who lead the flock, regardless of the title we are given.